When you’re buying a home using a mortgage, refinancing your existing mortgage, or selling your home to anyone other than an all-cash buyer, the home appraisal is a key component of the transaction. Whether you’re a buyer, owner or seller, you’ll want to understand how the appraisal process works and how an appraiser determines a home’s value. An appraisal is an unbiased professional opinion of a home’s value. Appraisals are almost always used in purchase and sale transactions and commonly used in refinance transactions. In a purchase and sale transaction, an appraisal is used to determine whether the home’s contract price is appropriate given the home’s condition, location, and features. In a refinance, an appraisal assures the lender that it isn’t handing the borrower more money than the home is worth. Lenders want to make sure that homeowners are not overborrowing for a property because the home serves as collateral for the mortgage. If the borrower should default on the mortgage and go into foreclosure, the lender will sell the home to recoup the money it lent. The appraisal helps the bank protect itself against lending more than it might be able to recover in this worst-case scenario. Because the appraisal primarily protects the lender’s interests, the lender will usually order the appraisal. 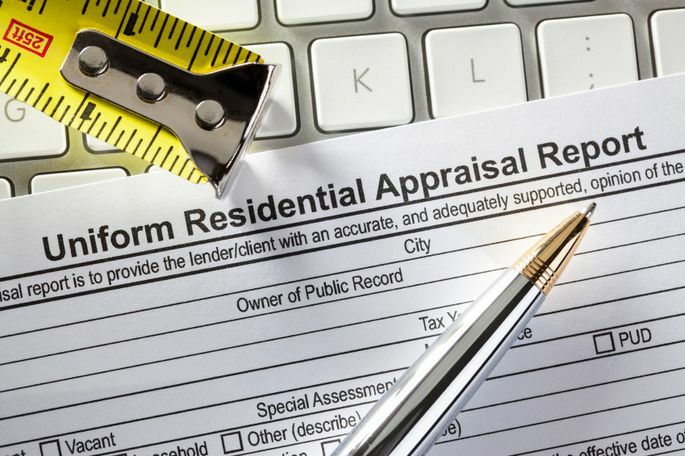 According to the Appraisal Institute, an association of professional real estate appraisers, a qualified appraiser should be licensed or certified (as required in all 50 states) and be familiar with the local area. 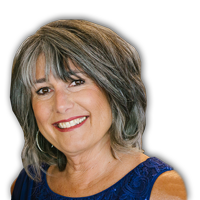 Per federal regulations, the appraiser must be impartial and have no direct or indirect interest in the transaction. Fannie Mae requires appraisers to certify that they have experience appraising similar properties in the same geographic area. A property’s appraisal value is influenced by recent sales of similar properties and by current market trends. The home’s amenities, the number of bedrooms and bathrooms, floor plan functionality and square footage are also key factors in assessing the home’s value. The appraiser must do a complete visual inspection of the interior and exterior and note any conditions that adversely affect the property’s value, such as needed repairs. Typically, appraisers use Fannie Mae’s Uniform Residential Appraisal Report for single-family homes. The report asks the appraiser to describe the interior and exterior of the property, the neighborhood, and nearby comparable sales. The appraiser then provides an analysis and conclusions about the property’s value based on his or her observations. The report must include a street map showing the appraised property and comparable sales used; an exterior building sketch; an explanation of how the square footage was calculated; photographs of the home’s front, back and street scene; front exterior photographs of each comparable property used; and any other pertinent information, such as market sales data, public land records and public tax records, that the appraiser requires to determine the property’s fair market value. An appraisal costs several hundred dollars, and generally, the borrower pays this fee. When you’re buying a home and you’re under contract, the appraisal will be one of the first steps in the closing process. If the appraisal comes in at or above the contract price, the transaction proceeds as planned. If the appraisal comes in below the contract price, however, it can delay or derail the transaction. Chances are neither you nor the seller wants the transaction to fall through. As the buyer, you have an advantage in that a low appraisal can serve as a negotiating tool to convince the seller to lower the price. The bank won’t lend you or any other prospective buyer more than the home is worth. In fact, a maximum of 80% to 97% of the value is typical, depending on the type of mortgage and the borrower’s qualifications. While appraisals help buyers avoid overpaying for homes, a seller may feel that a low appraisal is inaccurate and be reluctant to drop the price. If a bad appraisal is standing between you and your home purchase or sale, look into getting a second opinion via another appraisal by another person. 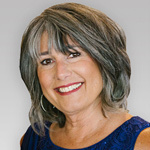 Appraisers can make mistakes or have imperfect information. Better yet, present a factual case for a higher value to the original appraiser. They may agree with you and revise their evaluation. As a seller, a low appraisal, if accurate, means you will have to lower your home’s price to get it sold. Holding out for an all-cash buyer who doesn’t require an appraisal as a condition of completing the transaction is unlikely to net you a higher sales price. No one wants to overpay for a home. Unfortunately, recent distressed sales in the surrounding area can lower your home’s appraisal value. If you feel that your home’s value has been dragged down by the sales prices of nearby foreclosures and short sales, you may be able to convince the appraiser that your home is worth more if it’s in significantly better condition than those properties. Sellers should also know that federal guidelines (intended to eliminate the inflated appraisal values that contributed to the 2008 housing crisis) sometimes cause appraisals to come in below fair market value and can make low appraisals difficult to challenge. If you’re refinancing a conventional mortgage, a low appraisal can prevent you from doing so. The home needs to appraise at or above the amount you want to refinance for your loan to be approved. However, if your existing mortgage is an FHA mortgage, you can refinance without an appraisal through the FHA Streamline program – a great option for underwater homeowners. When everything goes smoothly, the home appraisal is just another box to tick on a closing checklist. When the appraisal value is lower than expected, the transaction can be delayed or even canceled. 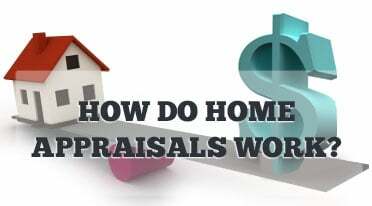 Regardless of which situation you encounter in your home buying, selling or refinancing experience, a basic understanding of how the appraisal process functions can only work in your favor.